Esophageal spasm are abnormal contractions of the muscular walls of the esophagus (gullet) that is often painful and leads to difficulty with swallowing. The condition is often missed because the abnormal esophageal contractions are not persistent but rather occur in episodes which may pass before medical attention is sought. The cause of esophageal spasm is unknown but it has been associated with various medical conditions. Medication and surgery may be needed to treat esophageal spasms. In diffuse esophageal spasm the coordinated manner of muscle contractions is disrupted. Segments that are are supposed to contract and/or relax is uncoordinated meaning that two segments may contract simultaneously. This hampers the movement of food down the esophagus and therefore the most notable symptom is dysphagia (difficulty swallowing). In nutcracker syndrome, the muscle contractions of the esophageal wall are very strong but still occur in a coordinated manner. Although a person may experience some difficulty with swallowing in nutcracker syndrome, the more prominent symptom is painful swallowing. Swallowing is a process that starts in the mouth and ends when the food passes out of the esophagus and into the stomach. The first part of swallowing is voluntary but there after it is involuntary. 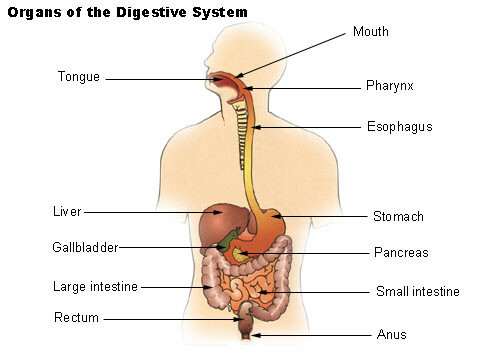 First the food moves into the throat and then enters the esophagus where it is rapidly propelled into the stomach. This is mediated by a coordinated pattern of muscle contractions starting in the throat and continuing down the entire esophagus. These movements occur throughout the gut to propel gut contents along the entire alimentary tract. The esophagus is hollow muscular tube that is about 25 to 30 cm (centimeters) long. It has a largely muscular wall with muscles arranged in two patterns – an inner circular arrangement and an outer longitudinal arrangement. By coordinating the contractions of these two layers, a ball of food (bolus) is pushed down the esophagus in a smooth manner. In addition the innermost layer of the esophagus, the epithelium, produces copious amounts of mucus which acts as a lubricant for the passage of food. There are two ways in which peristalsis is propagated in the esophagus. Primary peristalsis is a continuation of the muscle contraction waves that start in the throat (pharynx) and continues down the esophagus. Secondary peristalsis is a backup measure where stretching of the esophageal wall by a ball of food triggers contractions. This ensures that if any food is remaining after the primary peristaltic waves, it is then pushed along by the secondary peristaltic mechanism. Esophageal motility is controlled by cranial nerves V (5), IX (9), X (10) and XII (12). In addition the nerve plexus within the esophageal wall also coordinates the muscle activity. It occurs in segments but normally progresses in such a smooth and coordinated manner that it appears as one continuous movement. The segment of the esophagus lying just after the bolus relaxes while the segment before the bolus constricts. The ball of food is then propelled downwards towards the stomach. There are two esophageal sphincters that serve to control the entry and exit of food. Upper esophageal sphincter (UES) – controls the entry of food into the esophagus from the throat (pharynx). Lower esophageal sphincter (LES) – controls the exit of food from the esophagus and into the stomach. Both these sphincters remain constricted by the constant contraction of its muscles. It can relax as food approaches it to ensure that the food passes through but prevents backward flow. The entire process of esophageal motility is a fairly complex interplay of muscle contraction and relaxation, nerve signals and stretching of the esophageal wall by food. The reason for abnormal contractions leading to esophageal spasms can therefore arise at any of these points. For example, should the nerve impulses to the muscles be too strong, then the muscles will contract harder than normal. In other cases nerve impulses that move too rapidly may cause multiple segments to constrict simultaneously in an uncoordinated manner. Irritation and damage of the esophageal wall can hamper its ability to detect stretching when food is present and thereby coordinate the next segmental contraction. The two main symptoms are pain and/or difficulty swallowing (dysphagia). Regurgitation may be seen in some cases. Esophageal pain and painful swallowing (odynophagia) are more commonly seen in nutcracker syndrome. The pain is usually intense and is a squeezing or constricting pain that is typically felt in the chest. Due to the intensity and nature of the pain, it closely resembles cardiac pain as is seen in angina pectoris or even a heart attack (myocardial infarction). Difficulty swallowing is more prominent with diffuse esophageal spasm. The person often finds that swallowing is not as easy as it normally is and there is often a sensation of a lump in the throat (globus hystericus) after swallowing. Sometimes it is accompanied by discomfort in the chest as if the food is stuck in the esophagus yet it may not be painful. Heartburn (burning chest pain) may also be experienced. Regurgitation of food is commonly seen with difficulty swallowing. It must not be mistaken for vomiting which is a much more violent process that starts from the small intestine or stomach. Instead the person finds that they swallow and then bring up the food shortly thereafter. Compression of the nerves within the esophageal wall by solid masses or enlarged blood vessels. Esophagitis which is an inflammation of the esophagus. It is commonly caused by gastroesophageal reflux disease (GERD) and infections. Sandifer syndrome which is closely associated with GERD. Crohn’s disease of the esophagus marked by inflammation and ulceration of the esophageal wall. Dermatomyositis, multiple sclerosis and amyotrophic lateral sclerosis. Depression, anxiety and psychological stress. It is important to note that esophageal spasms may not always be seen in these conditions. While the reason why esophageal spasms can occur in these conditions seems obvious – like nerve damage, abnormal muscle tonicity, inflamed esophageal wall and so on – the exact cause for esophageal spasms is unclear in most instances. Barium swallow where a special contrast dye is first consumed and x-rays taken to visualize the esophagus. Computed tomography (CT) and ultrasound scans are useful to identify any abnormalities within the esophagus or around it. Endoscopy (upper gastrointestinal) allows for visualization within the esophagus with video images. Manometry is an investigation to measure the muscle contractions within the esophagus. pH monitoring is a means to measure the acidity or alkalinity with the esophagus and determine if stomach acid is entering it. Not every cases of esophageal spasms need specific medical treatment. Occasional esophageal spasms which do not cause significant pain may be manageable without treatment. Instead treatment may be directed at underlying problems of the upper gastrointestinal tract, motor and nerve disease or mental health disorders that may be contributing to esophageal spasms. When treatment is necessary, it can conducted through medication or surgery. Calcium channel blockers to reduce the strength of esophageal contractions. Nitrates to relax the esophageal muscles. Botulinum toxin to reduce the degree of muscle stimulation by the nerves. Tricyclic antidepressants to reduce chest pain. Acid-suppressing drugs may be helpful in reducing gastroesophageal reflux and thereby ease the esophageal spasms in some cases. Surgery is only considered when other measures have failed to achieve the desired results. Myotomy is the main procedure performed in esophageal spasms but is only useful for diffuse esophageal spasm. Myotomy can aggravate nutcracker syndrome. Esophagectomy is the surgical removal of the esophagus, either a part of it or the entire esophagus. It is rarely done for esophageal spasms and is the very last option.